Rudolf’s spectacular death in January 1889, in a love-nest double suicide at the imperial hunting lodge just outside Vienna at Meyerling (if that’s what it really was, and not a murder as many think) put an end to all this. Here’s an accession instrument for Rudolf’s seizure of power. It would have made a lot more sense in 1909. 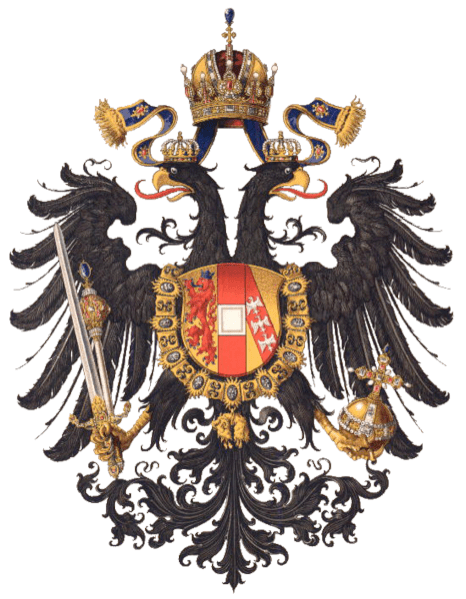 WE DO NOW ASSUME AND ACCEDE TO THE THRONES OF AUSTRIA AND HUNGARY, and all associated crowns, rights, powers and titles, with immediate effect.